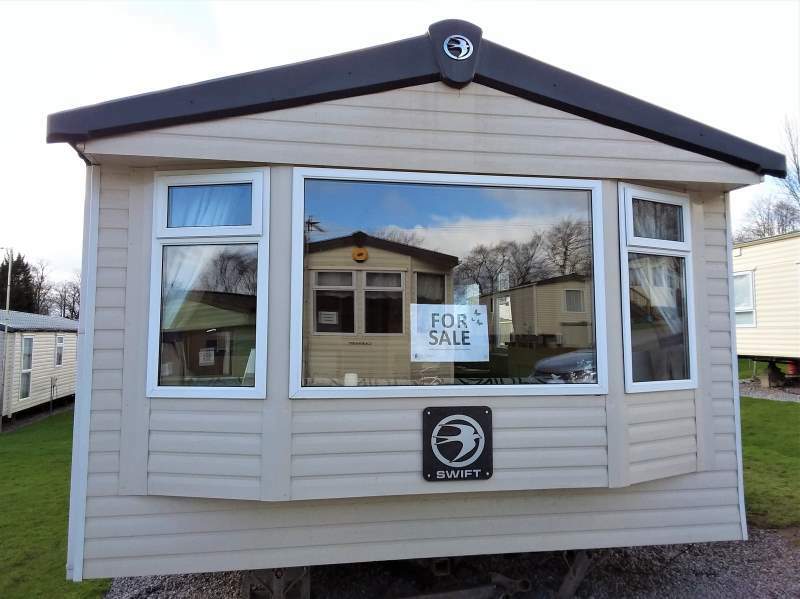 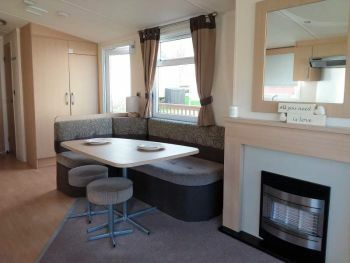 This is an ideal starter holiday home for a family. 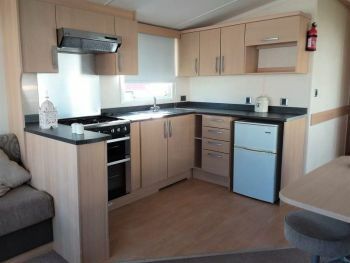 Comprising of open plan kitchen/diner with gas cooker, fridge, recess for microwave and corner seating dining area. 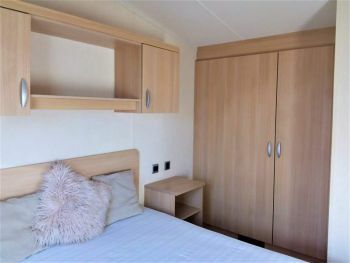 There are plenty of storage cupboards. 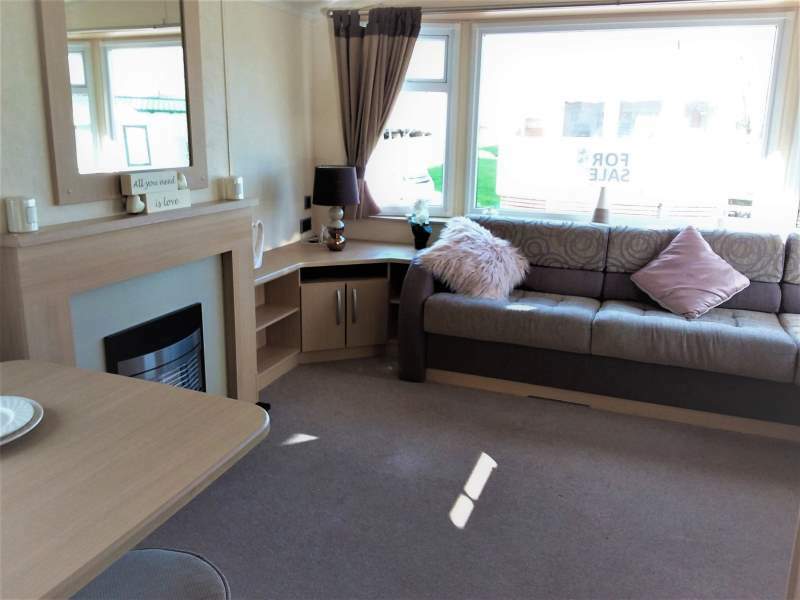 The living room area is roomy with a corner suite,TV unit and gas fire. The spacious bathroom has a white suite which includes large shower, WC and wash basin. 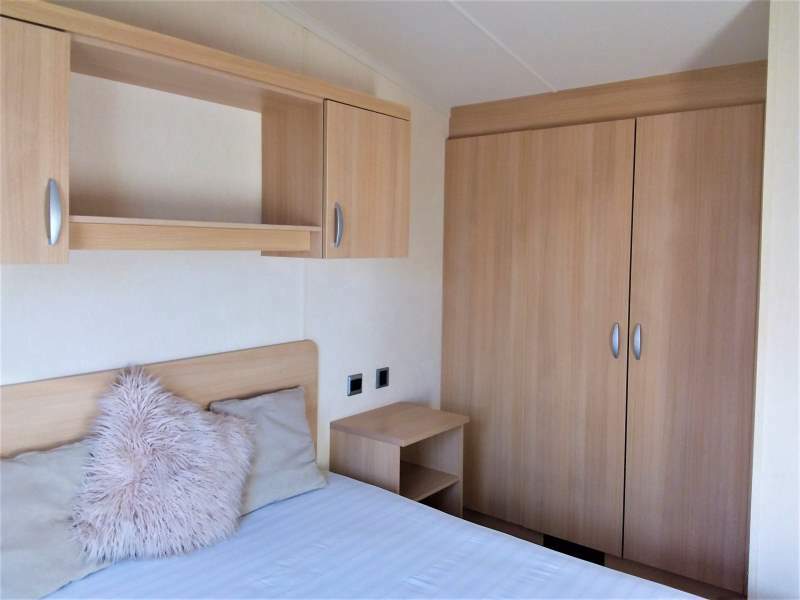 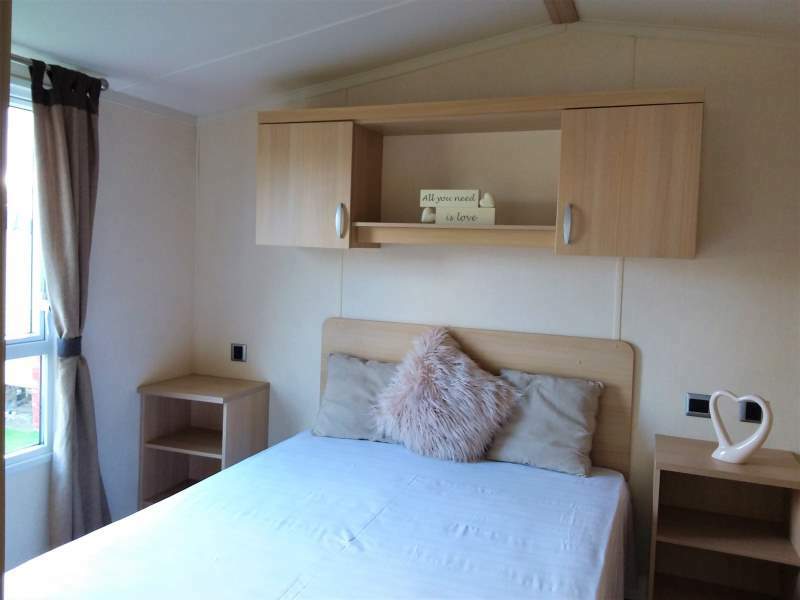 The double bedroom has a double bed, large double wardrobe, overbed storage, bedside cabinets and a small dressing table. 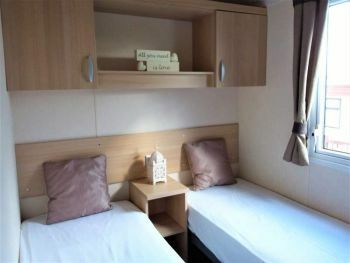 Twin room has two single beds, a good sized wardrobe, overbed storage. The decor is pleasing to the eye with coffee and cream tones. The bedrooms and living room areas are carpeted and the kitchen has wood effect floor covering. Finance available subject to status.